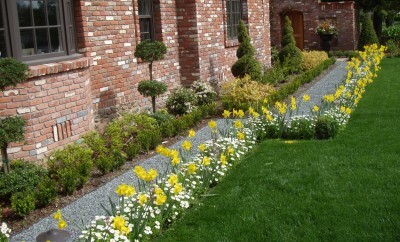 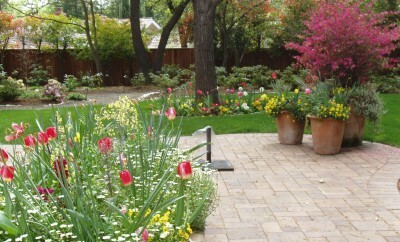 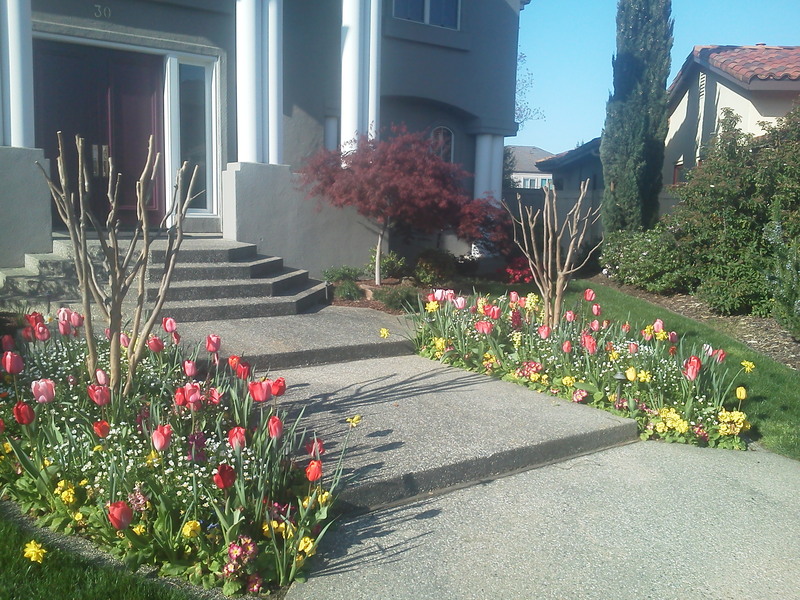 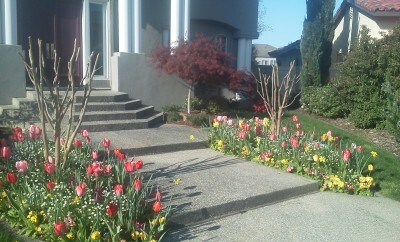 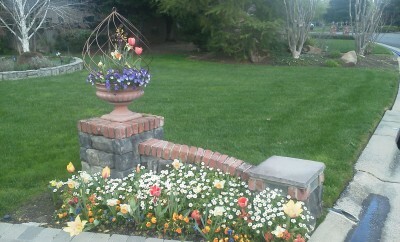 Fall and winter annual flowers are planted in the fall with Tulips and daffodils planted underneath. 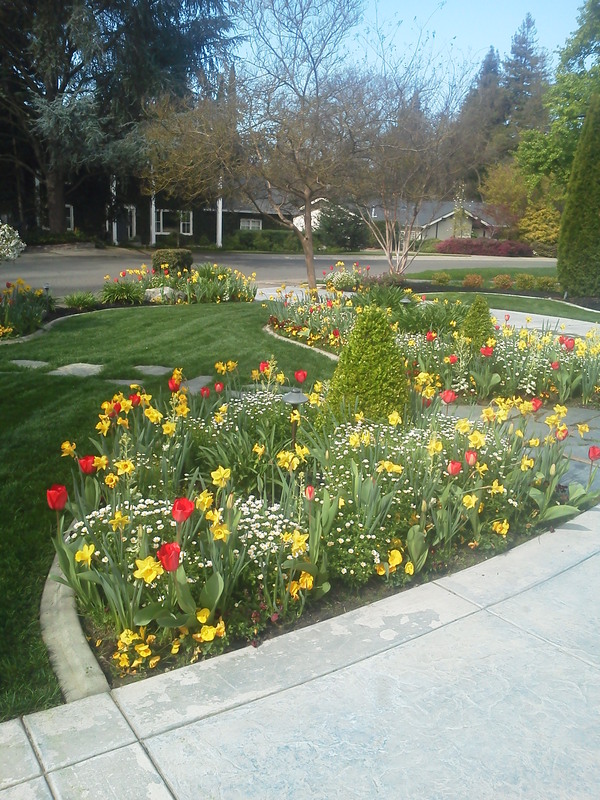 Tulips (come up in March) and daffodils (come up in Febuary) come up in early spring through annual plantings to create a beautiful display. 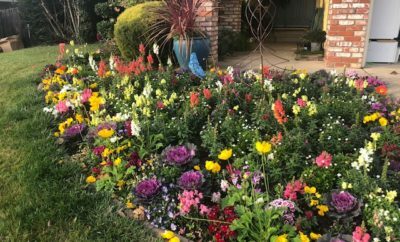 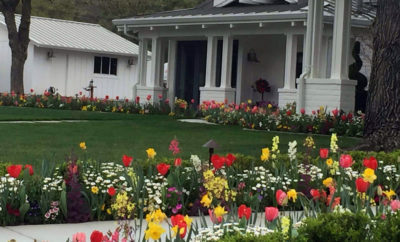 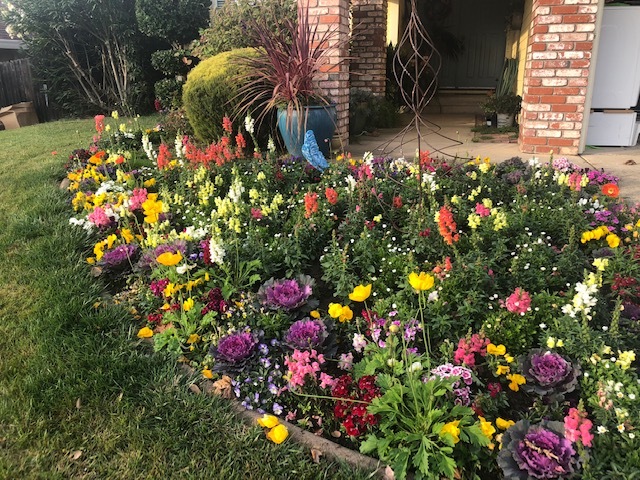 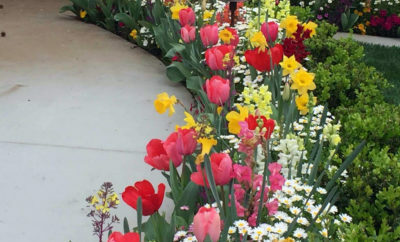 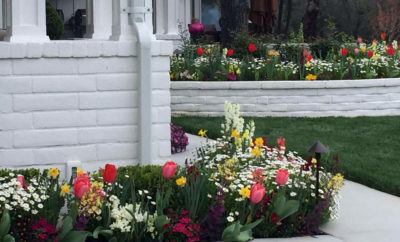 Annual plantings that are planted in Fall they can tolerate the cold, they will not freeze in the frost of winter and will bloom and be pretty until it starts getting hot (May) then they need to be replaced with Summer flowers. 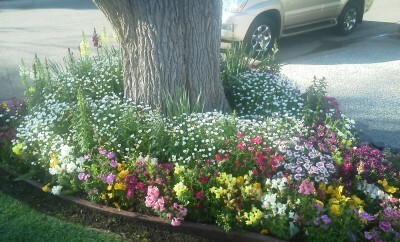 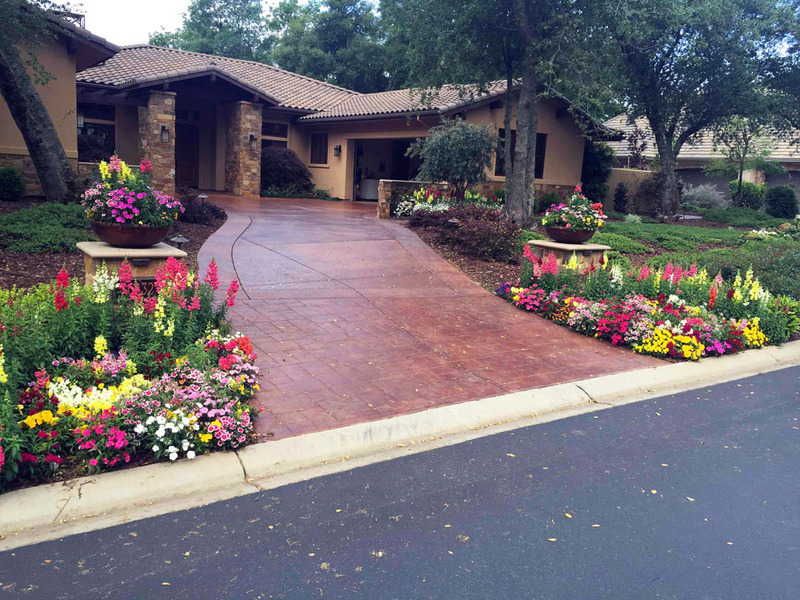 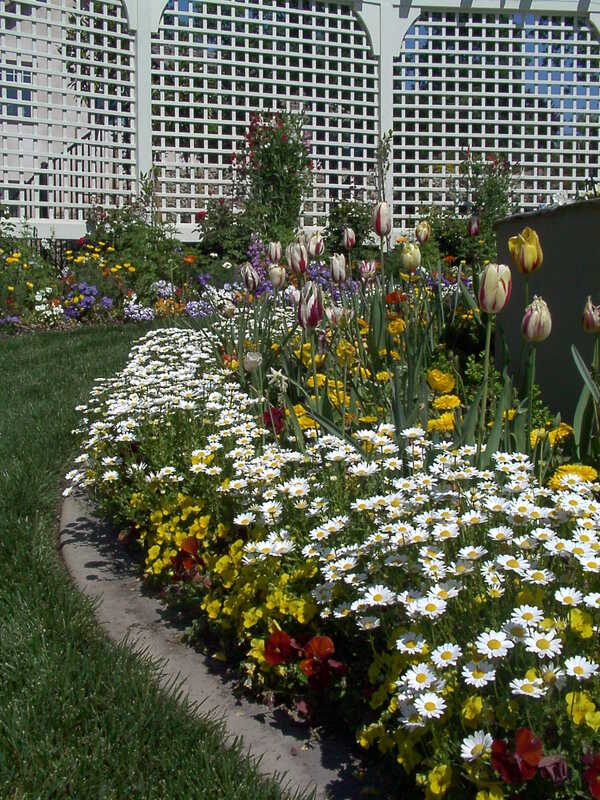 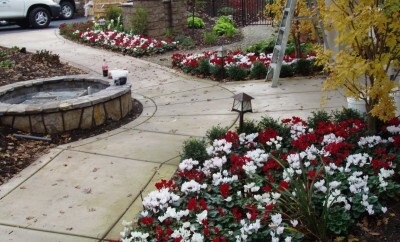 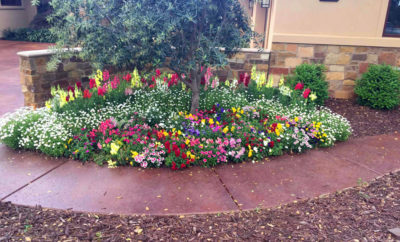 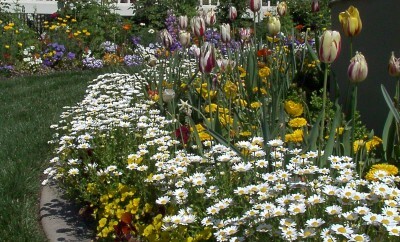 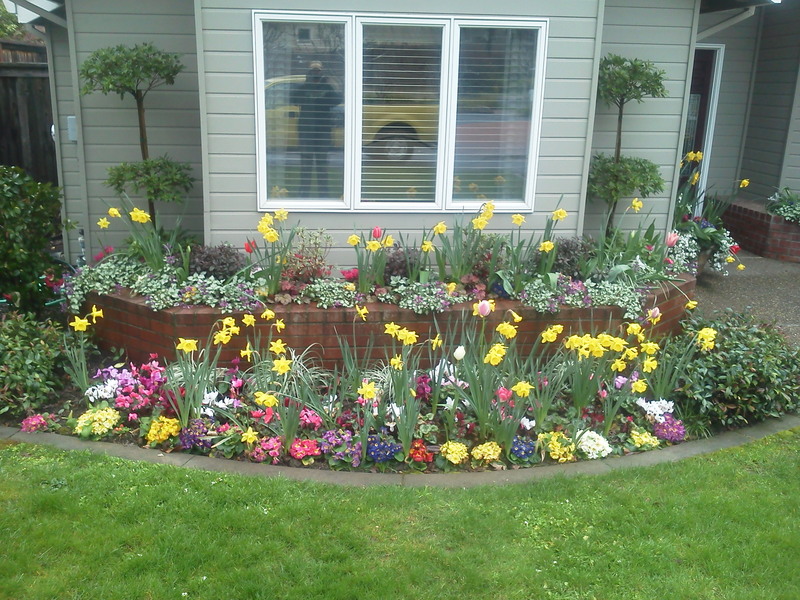 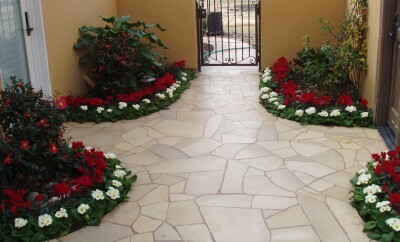 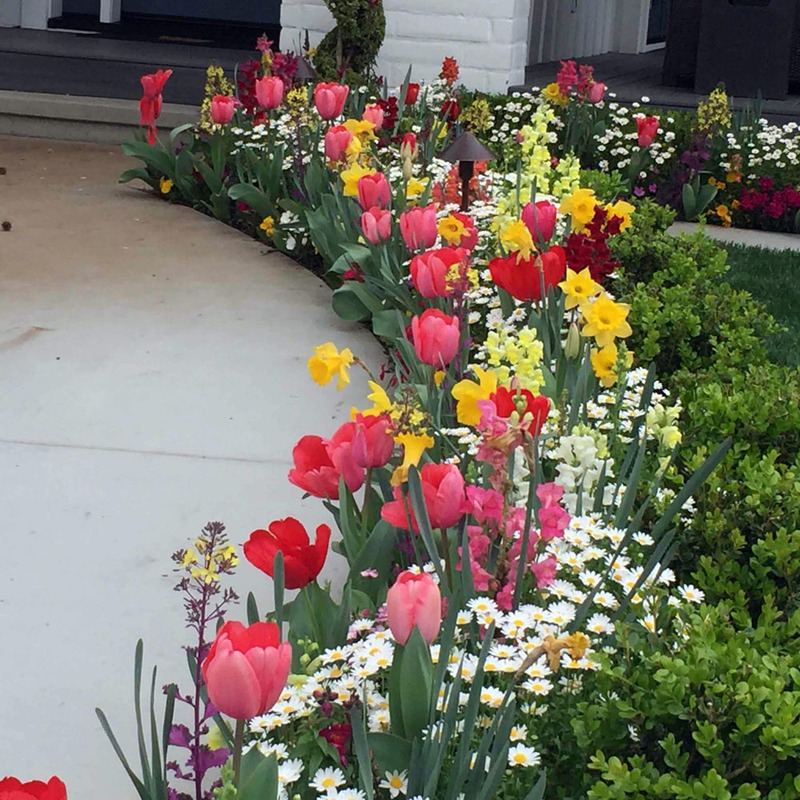 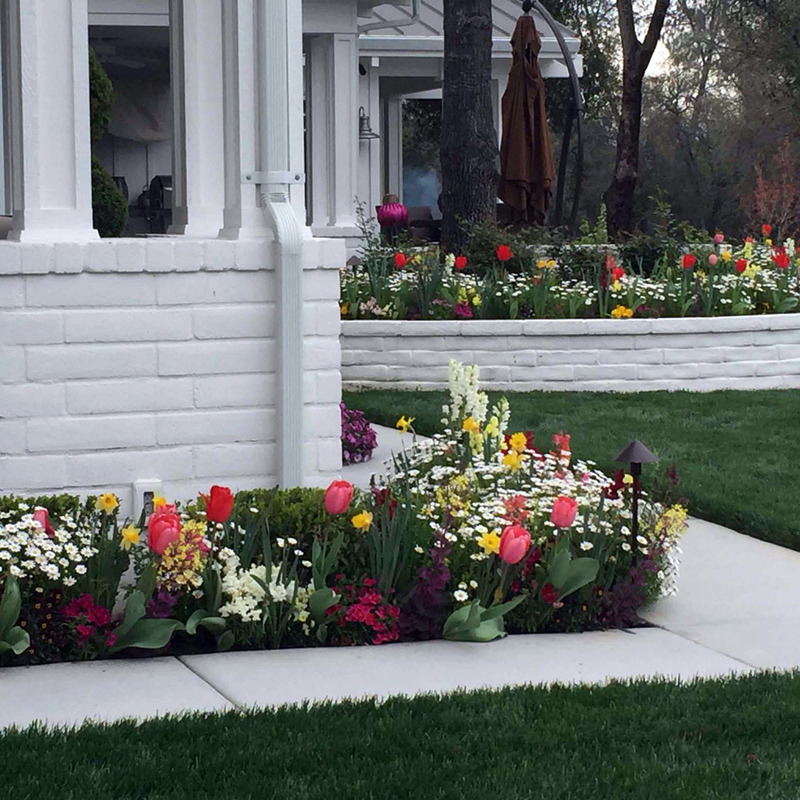 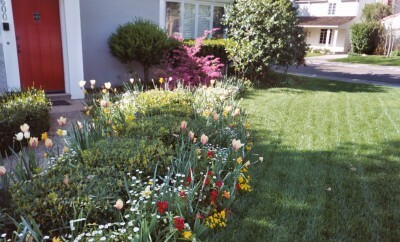 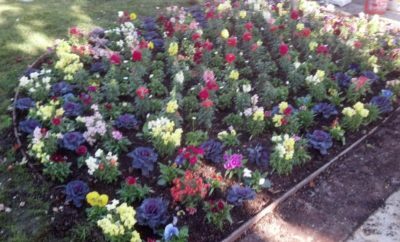 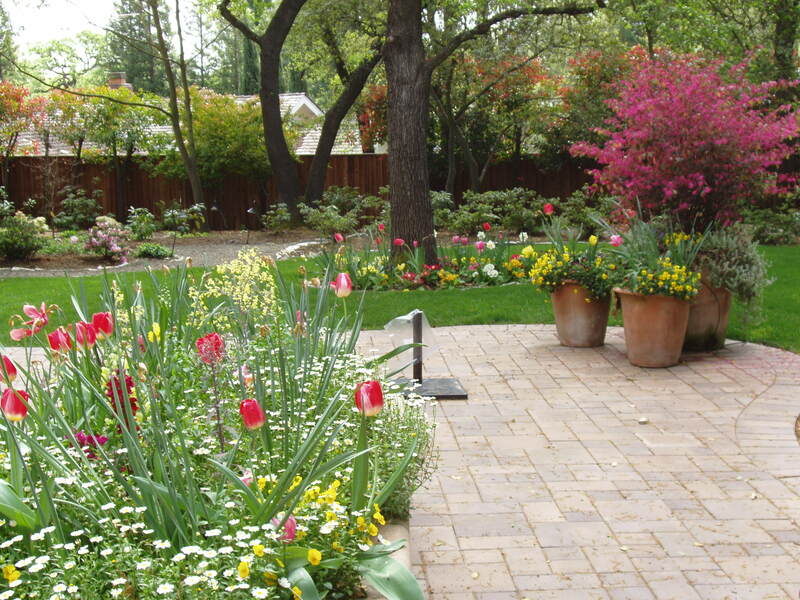 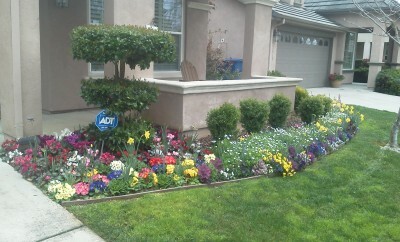 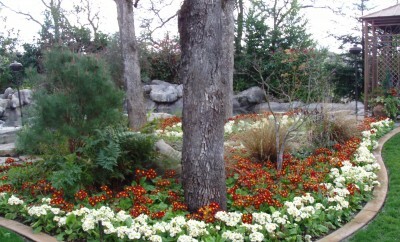 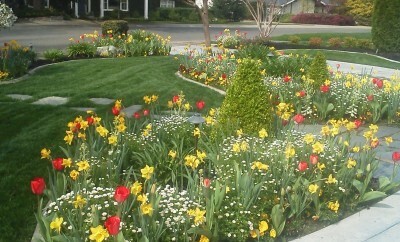 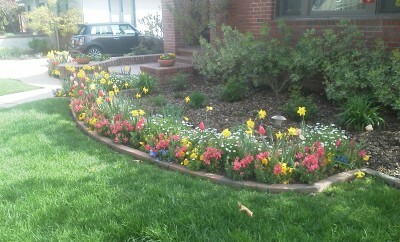 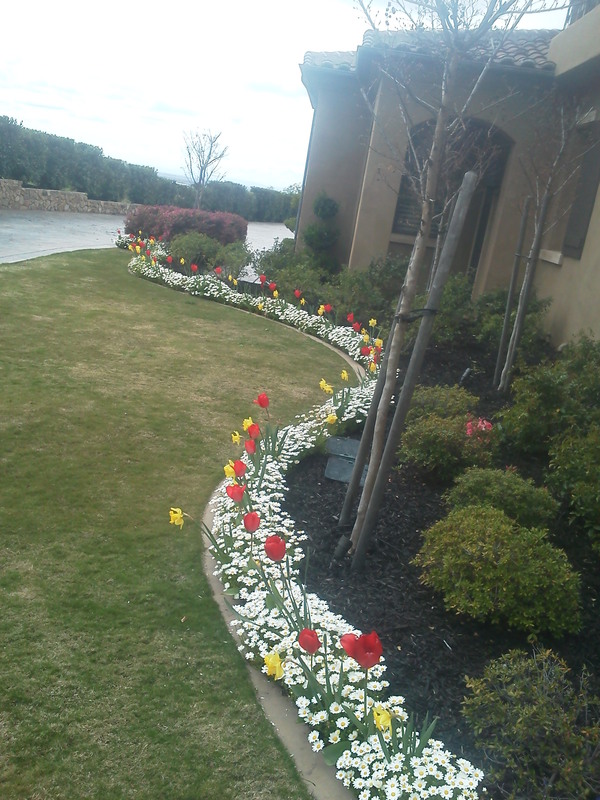 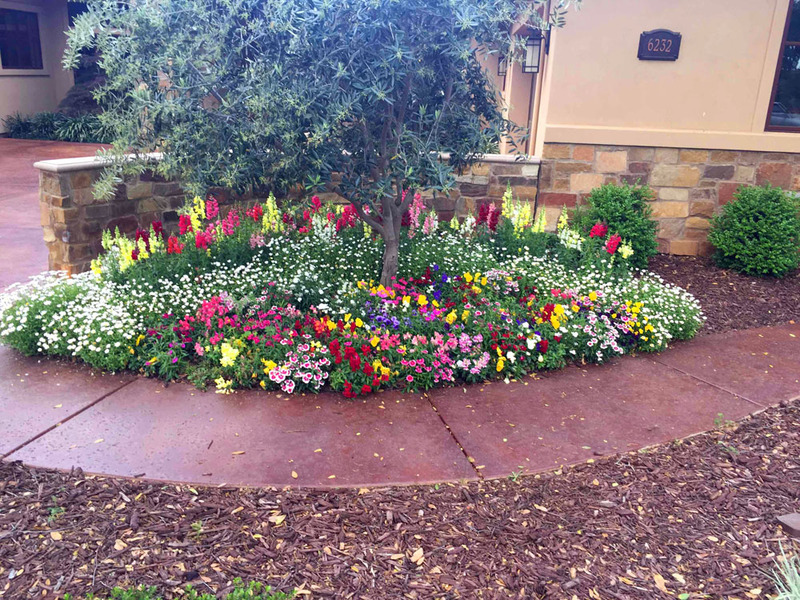 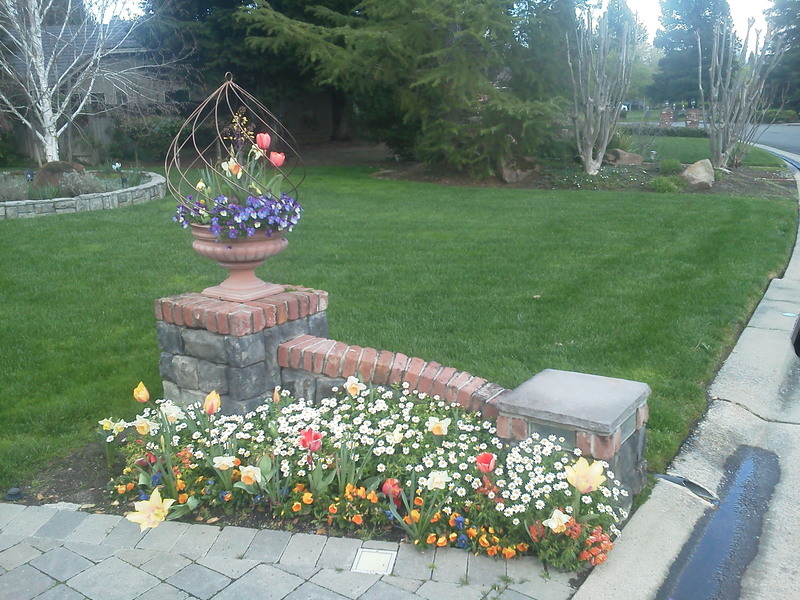 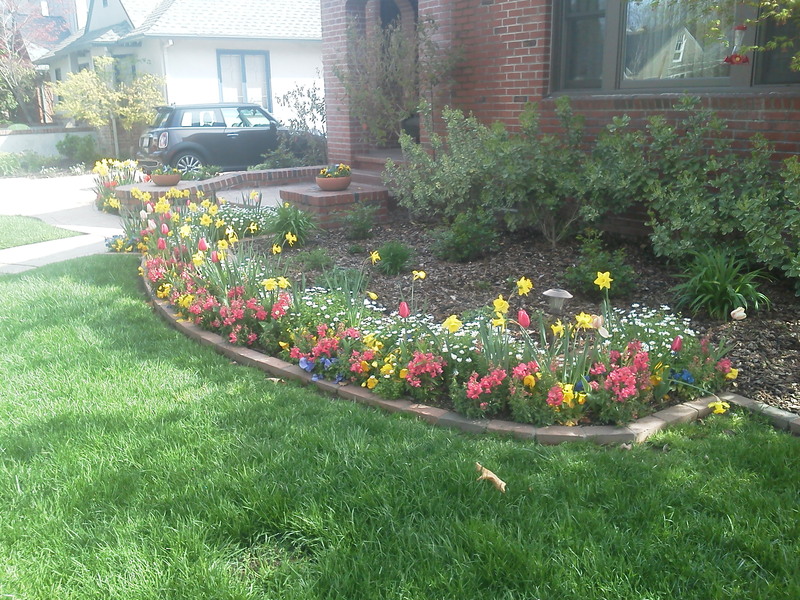 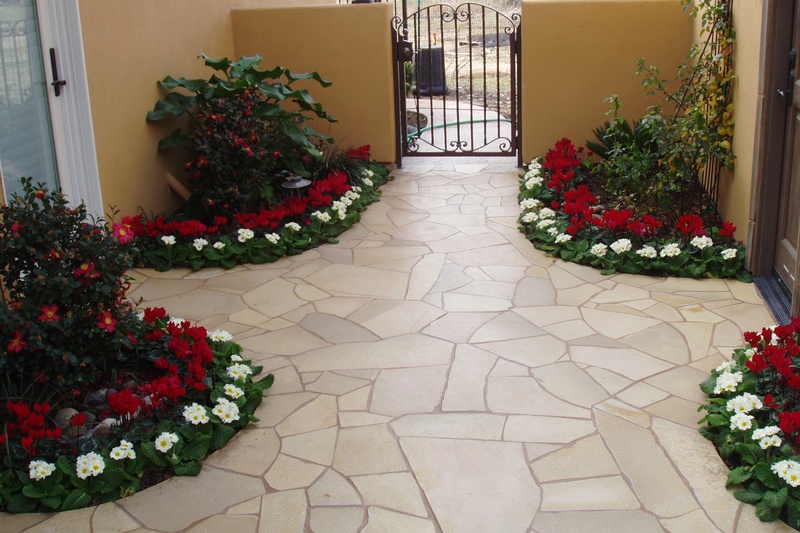 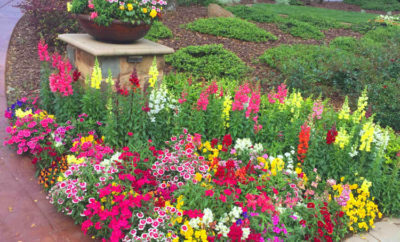 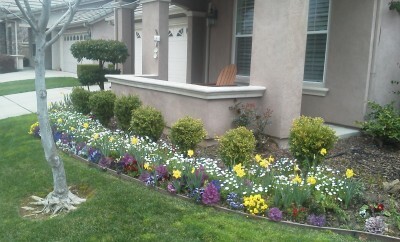 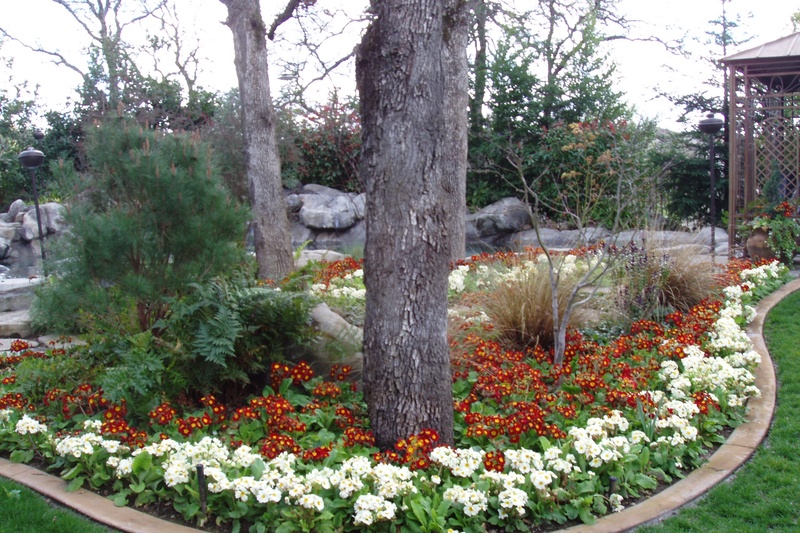 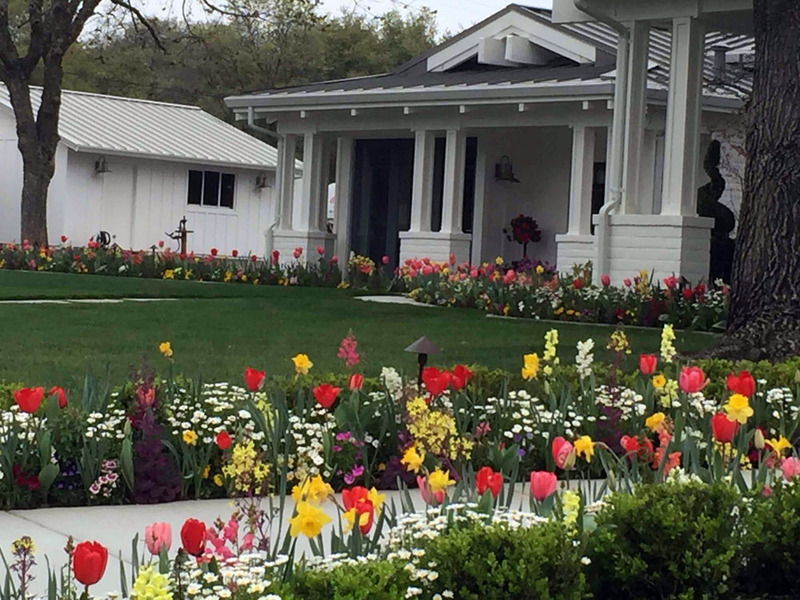 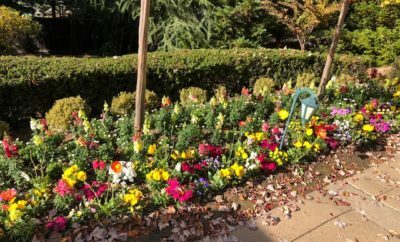 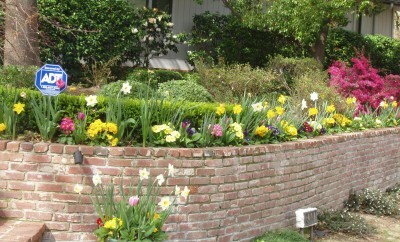 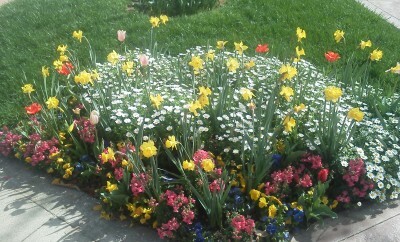 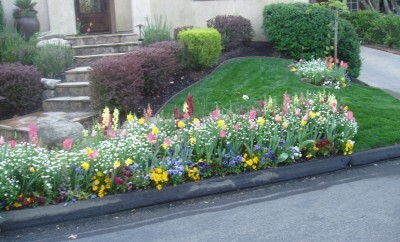 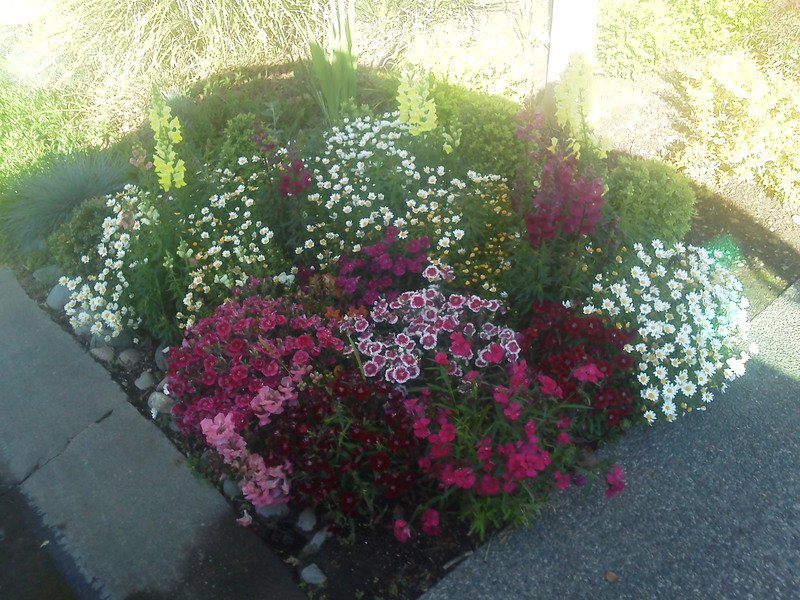 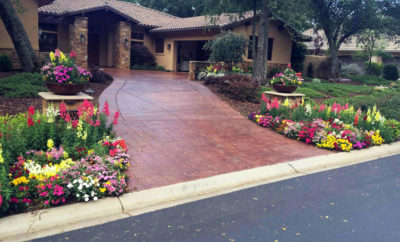 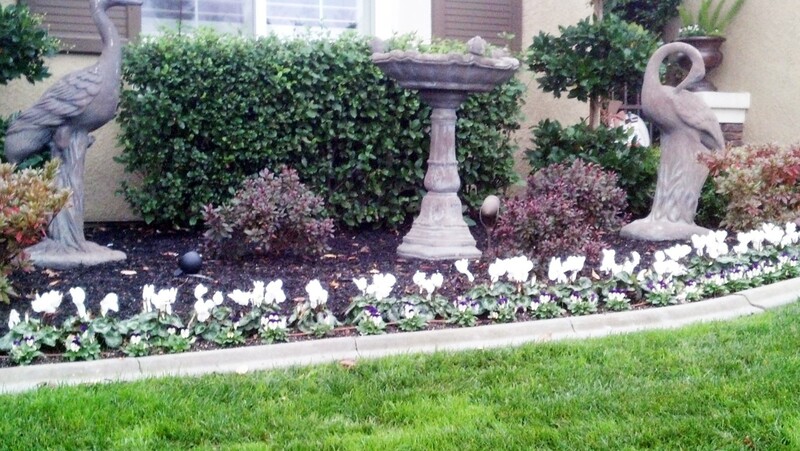 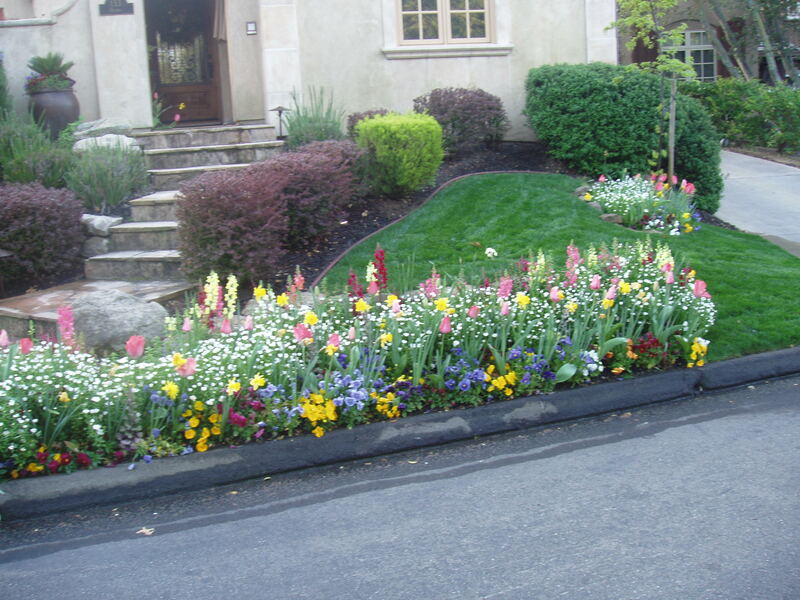 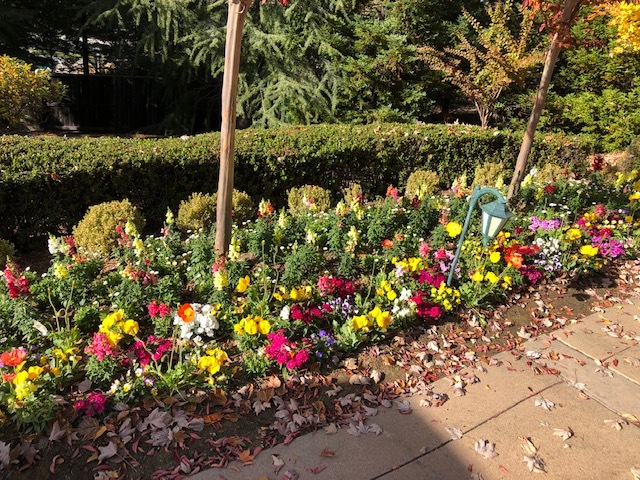 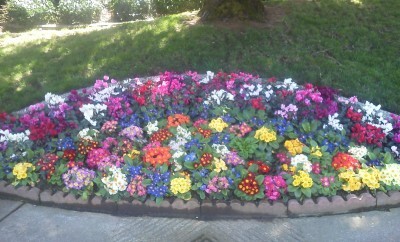 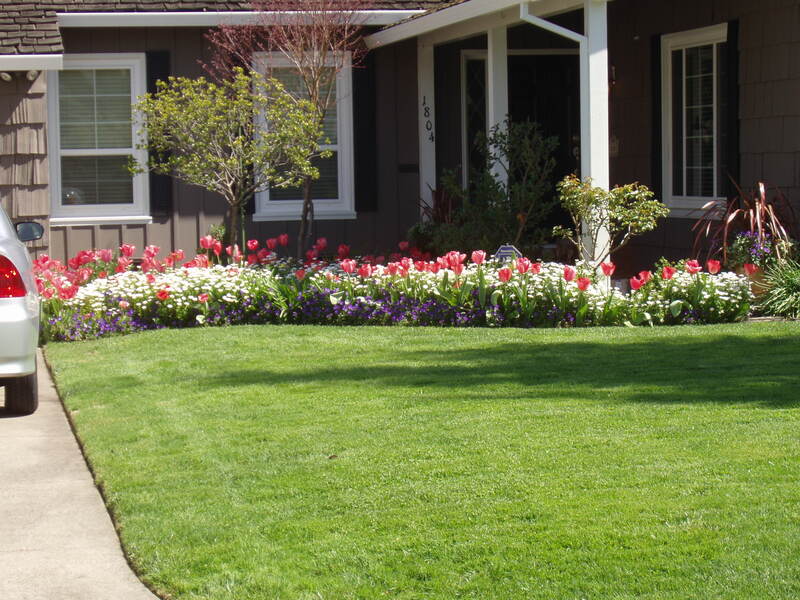 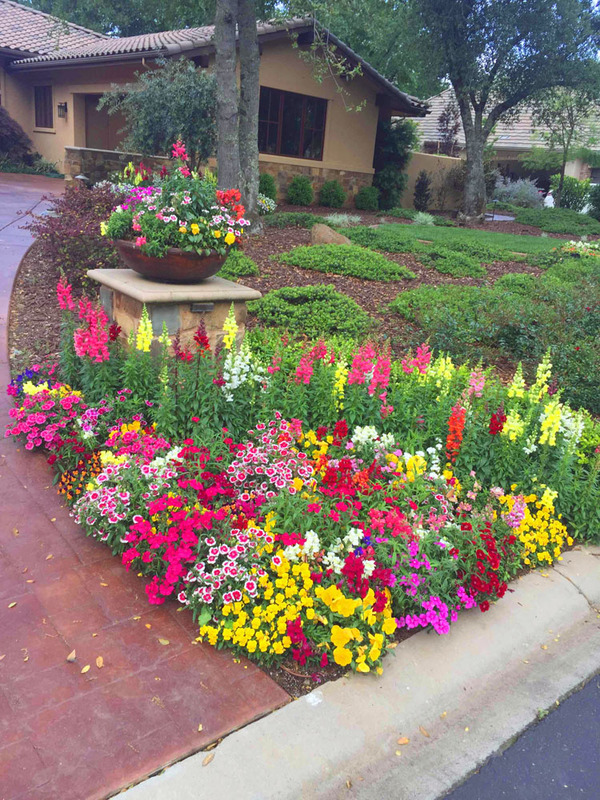 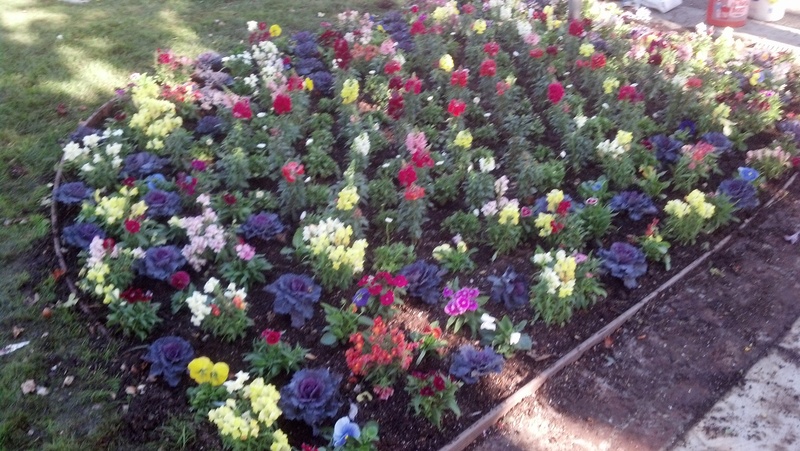 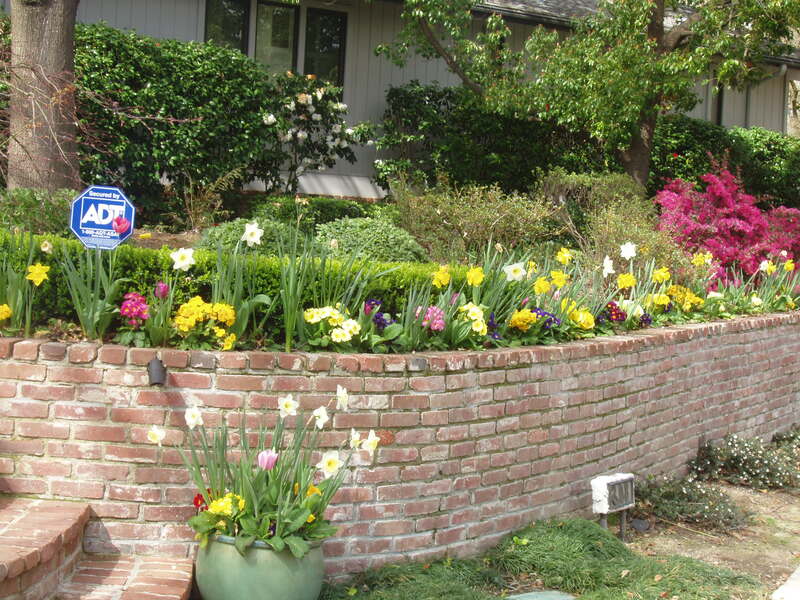 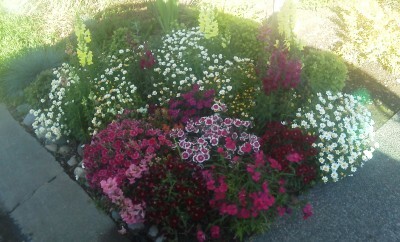 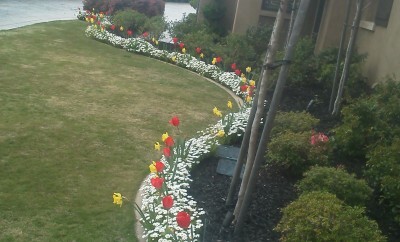 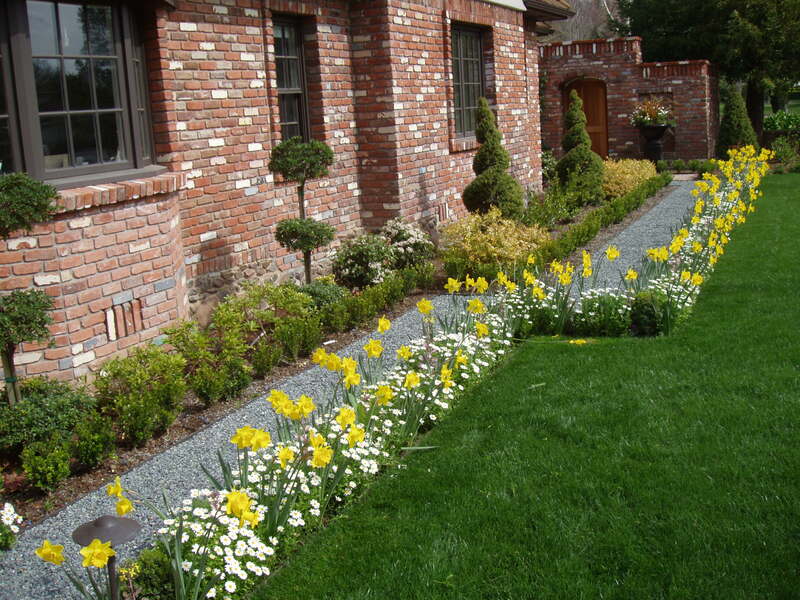 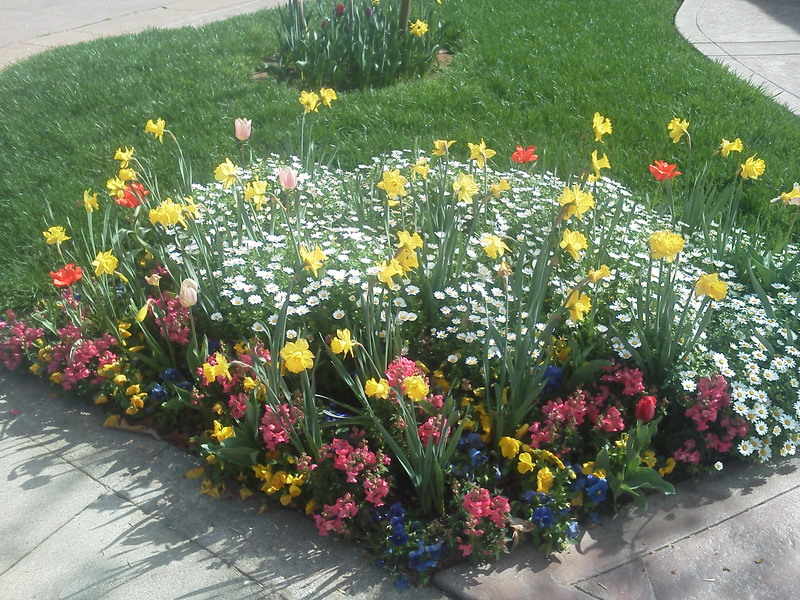 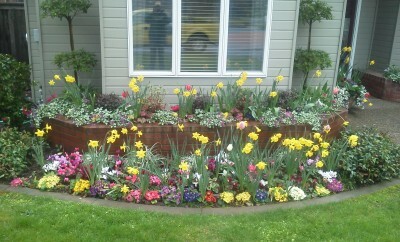 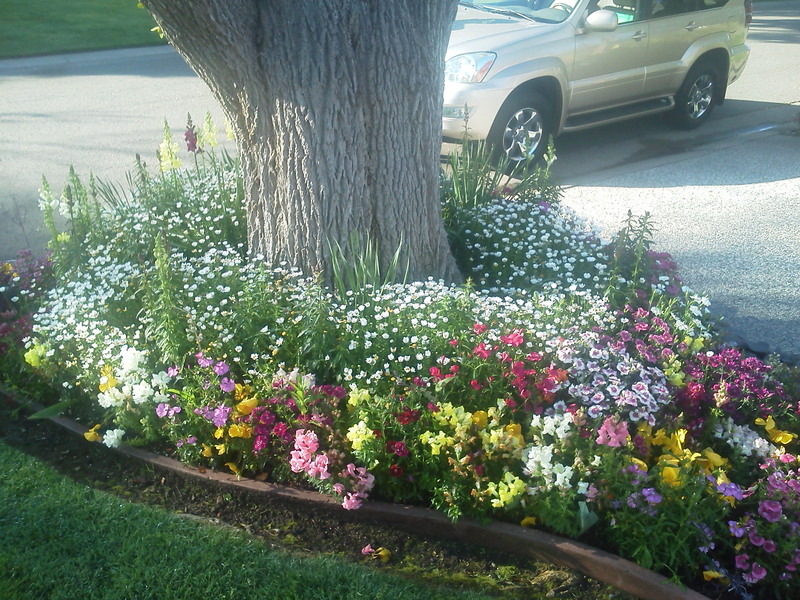 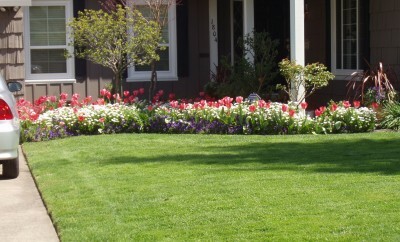 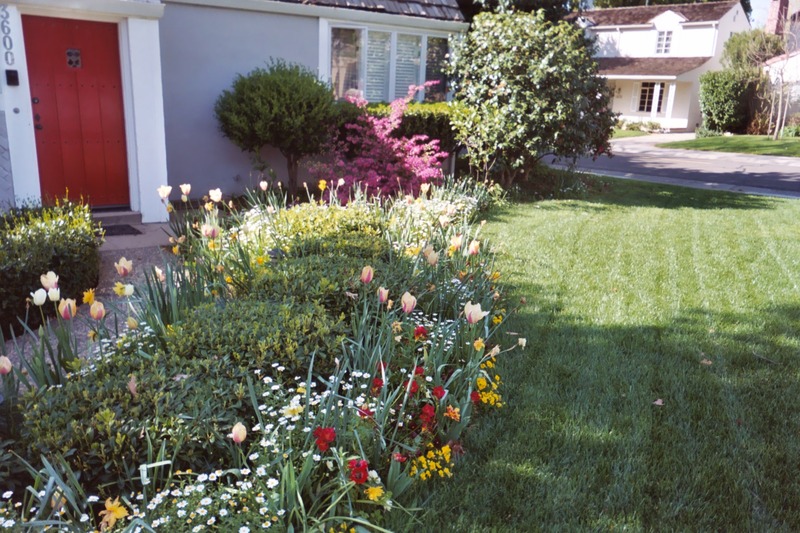 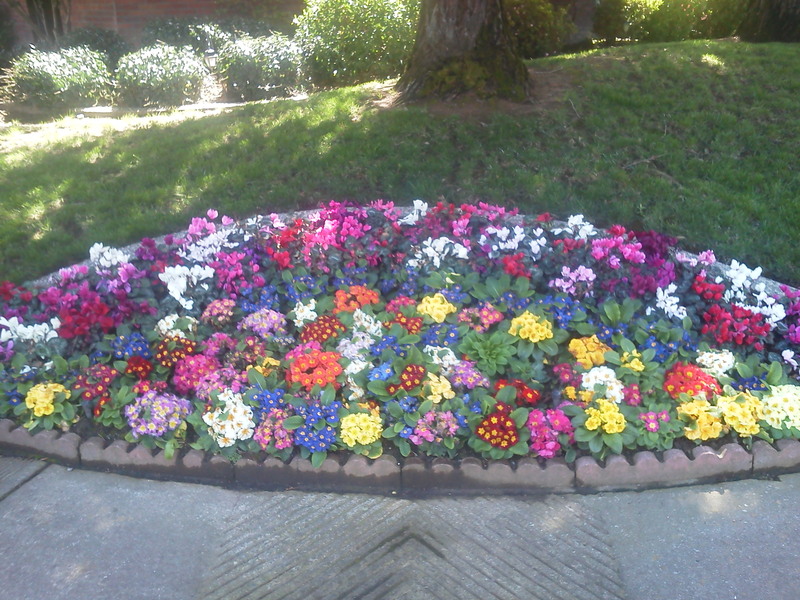 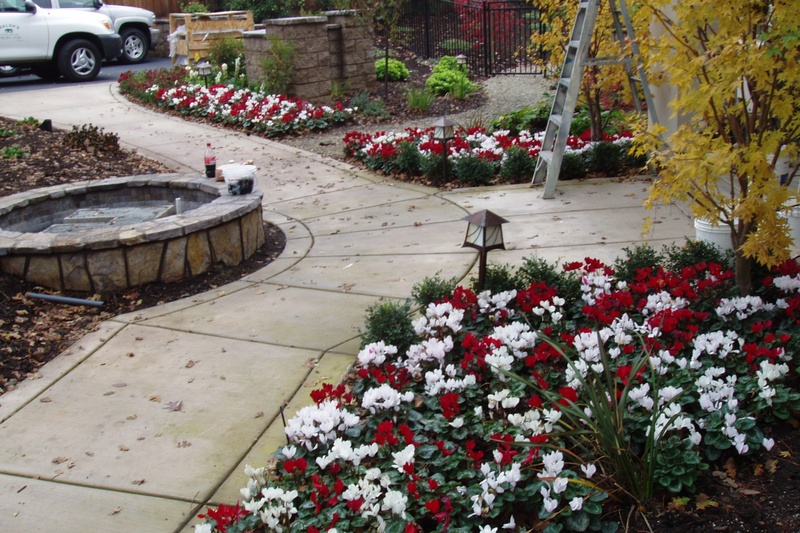 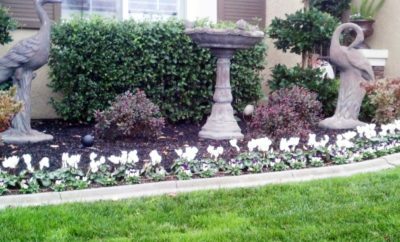 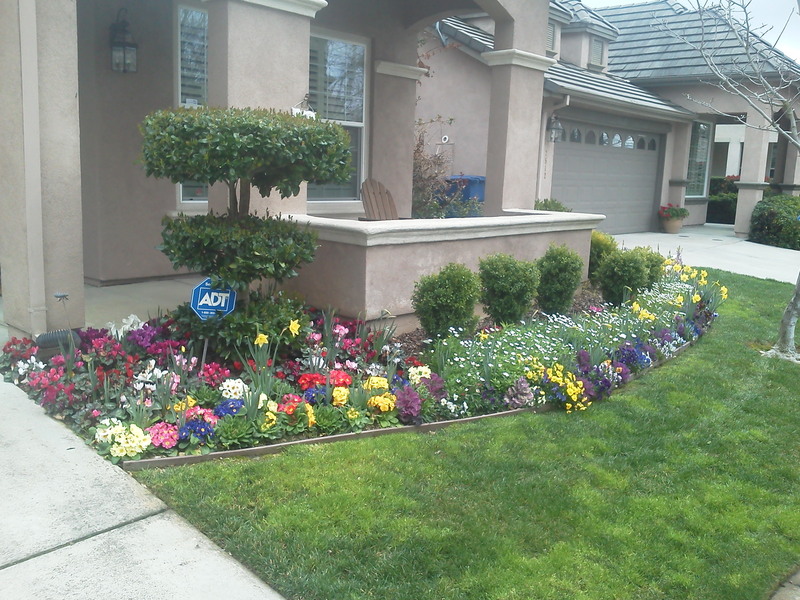 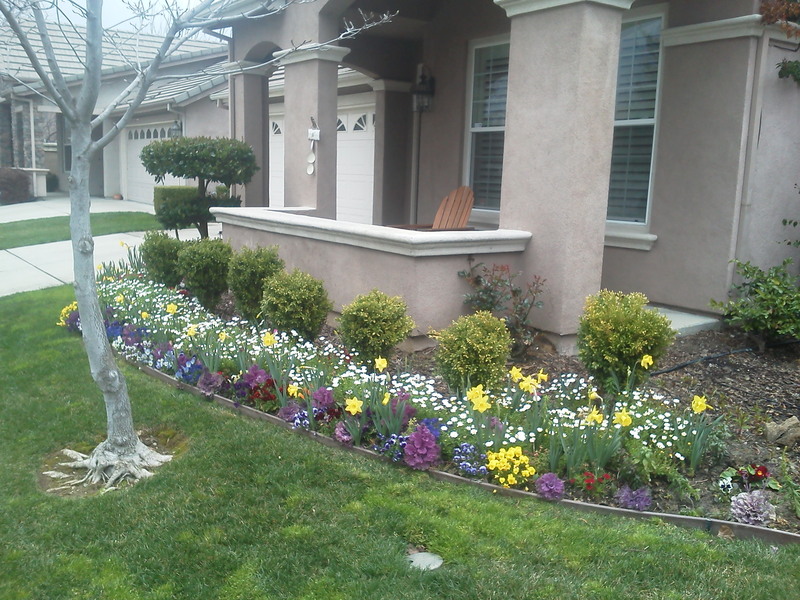 Flower beds are replaced twice a year to ensure year around color.